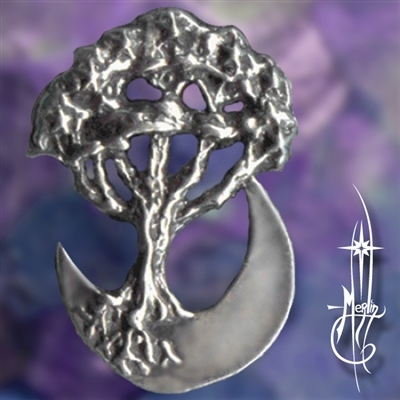 The moon has been a powerful influence physically and mythic for centuries. The Lore of humanity across many cultures have attributed the Moon to many things. Watching the moon in it’s phases is something we have been doing for a very long time. Within the first quarter: (similar to Aries) they will probably prefer to take the initiative and will be ready to look for new interests in life, new people and new ideas. In the second quarter: (similar to Leo) The person will be locked into their goals and have a strong need to create a legacy. They have a charisma drawing others to them, but instinctively use others rather than help them. In the Third quarter or Full Moon: (like Libra) The person will need friendships, colleagues and relationships, and will relate well to others; easily able to achieve a balance between want and need. They will either be drawn to highly successful people or achieve success; both with the help of others. In the third quarter (like Capricorn) they will often have clairvoyant insight and follow hunches rather than be logical; and will finish projects others start; reorganizing and sorting out problems left by others. First quarter (new): The first quarter symbolizes birth, renewal, sowing and awakening, and is associated with spring. Second quarter (waxing): The second quarter symbolizes potency, maturity, full growth and development, and is associated with summer. Third quarter (full): The third quarter symbolizes organization, harvest, collection and storage, and is associated with autumn. Fourth quarter (waning): The fourth quarter symbolizes completion, conclusion, hibernation and rest, and is associated with winter. Much is written on the subject and include nodes, mansions or nakshatras, lunation and so on. For those who love Luna in her many aspects, I have created the Moon Phase Chain. 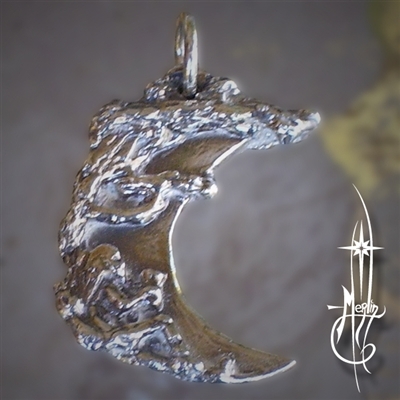 Each link is carved front and back with craters representing the lunar surface, each in a phase: full, waxing and waning, gibbous and crescent. I make a variety of sizes from earrings and bracelets to full necklaces and belly chains. 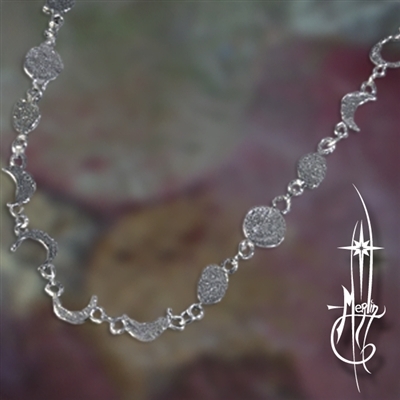 If you would like a Moon Phase chain made for you, please visit my website featuring the Moon Phase Chain as a bracelet or longer as necklaces. he received an assignment to create an educational video. so he knows the process quite well. and told me of his assignment. and I carved the piece. when we noticed it was 3am. 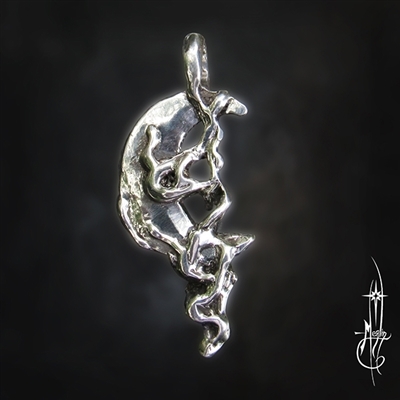 as I melted the silver and cast. and he was pleased with his grade! I came across his footage and decided to clean it up a bit. a short tutorial for your pleasure. and perhaps a peek at the rhythm of this art. a relief of a tree and under the tree is a man toasting to the Lunar Light. I was musing over the idea as a design I wanted to do. Allyn gave me the excuse! 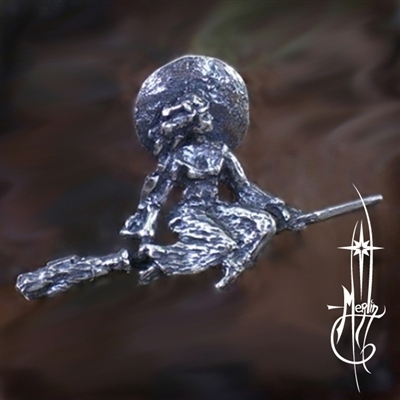 is a witch riding on a broom stick. to a beautiful woman riding side saddle on her besom. beauty, talent and a great sense of humor. positioned to give the sense of “floating” on your chain or cord. Modern fantasy stories of a race existed long before Mankind walked the earth. one foot in the “mundane” world. are only truly realized when we reach adulthood. struggling to bring peace to a troubled world. without the jaded perspective of a crushed hope. and roots in the cradle of a crescent. the way we use masks to protect our selves and others. Giving the Sun a face is a classic pictogram of its brilliant personality. The Moon presents qualities of a more private reflection. Dreams, visions and the vary path of life we travel. but the Tarot references remain the same. 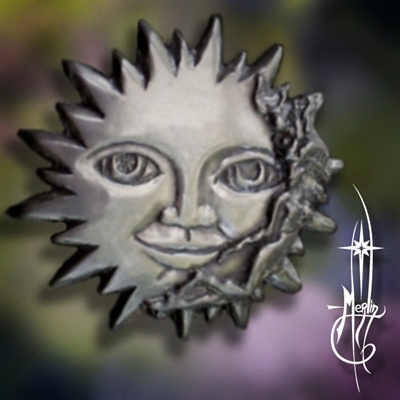 The two images combine in a fusion between the Lunar and Solar qualities we all hold. while the moon looks to the sun in mild amusement. protect and follow through with their dreams and aspirations with humor and grace. long before Mankind walked the earth. and one foot in the “mundane” world. and the roots resting in the cradle of a crescent moon. as the foundation of one’s life.